Tiny houses are popping up everywhere, not only as a solution to homelessness, but also for those seeking bigger living in exchange for a smaller carbon footprint (and income-to-debt ratio). While living in a home that is 400 square feet—or smaller—may not be for everyone, the organization and cleaning tips of such a lifestyle certainly can be. Cleaning is easier when there is less to clean. The best organizing tip and the fastest cleaning method are the same: if you have no clutter, things don’t get lost. When space is at a premium, only the vital are given real estate. Can you say that of your kitchen? Your closet? Your home office? 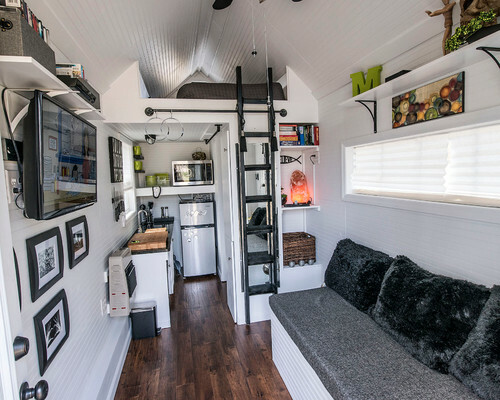 Take the tiny home approach for just a moment. If you could only use 5 things for the next week, what would those things be? When you don’t have the space to tuck things away, embrace them outwardly. This tiny home matches form and function quite literally, and it looks tidy and tied together at the same time. The use of a single color simplifies the aesthetic, minimizing visual clutter and almost pointing the way to where everything belongs. Tiny homes are masters at only containing the things that are actually used on a daily or weekly basis; there’s no need to be equipped for every occasion, only the life you live every day. And when they are also beautiful, there’s no need to hide them. The bulk of home organization tips are aimed at finding a place for everything you need. In a tiny home, the philosophy is flipped; first you figure out what you need, and then you find a place for it. Tiny home dwellers learn very quickly that the list of necessities is quite short, and they experience a sort of freedom that many of us, so bound by the need to be prepared for everything, never do. Take a nod from these minimalists and start to release yourself from the unworn clothing, one-use appliances, and (sometimes emotional) baggage and clutter that only take up space where something happy could be. Don’t waste space. Or time. 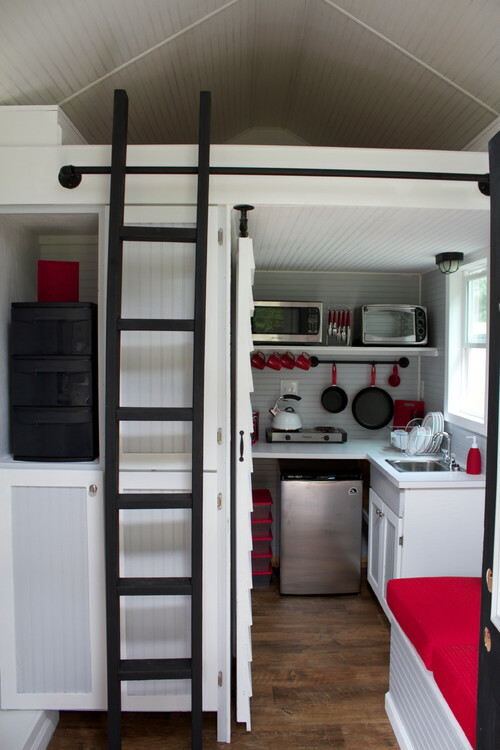 This tiny home is one of the most popular on Houzz for a reason. It makes use of every square inch: drawers under beds, shelves on every wall, life in every corner. Yet, with all of that, it is still full of breadth and width and space. This is where the little house movement takes shape; the freedom to move and the space to create and the bareness to breathe are just as important as the books on the shelves and the pans on the walls. The takeaway is that you may never get rid of “stuff”, but you should not make it more important than your right to clear passage. 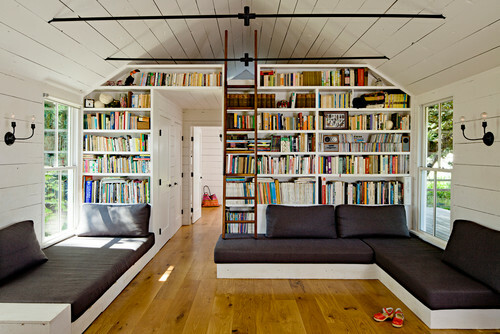 And sometimes, like you can see here in this gorgeous tiny home, the most of what you have is actually not even yours. This have-less-live-more philosophy is one of the reasons why the tiny homes movement has such big picture appeal. No matter how big your house is these tips will help you make the most of your space and the time you have to enjoy it. 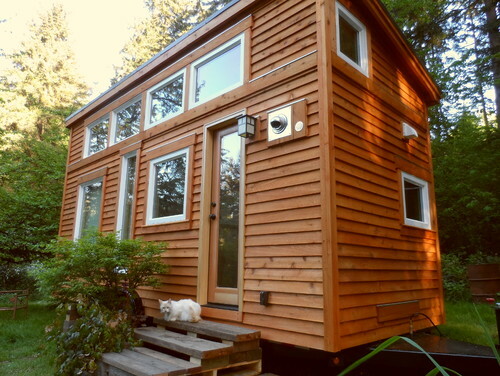 Want the efficiency of a tiny house clean without the tiny house? Hire The Maids. 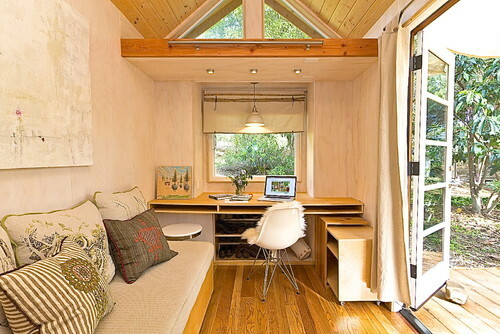 If you lived in a tiny home, what five things would you definitely put in it? I completely agree with the color point. White color is an excellent choice to make your home look bigger. Keeping everything clutter free is also essential. I always use baskets and boxes to organize everything. Though it doesn’t magically clean things, it definitely makes my house look clutter-free. Boxes and baskets can make great space-savers. A faux-clean is better than no clean, right? !